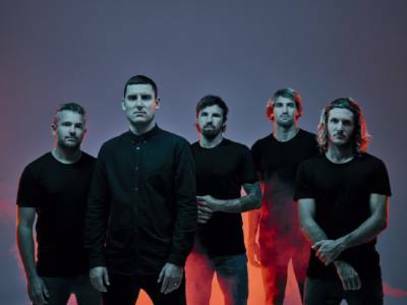 PARKWAY DRIVE join the previously announced Friday night headliner, SABATON, Sunday’s bill toppers SCORPIONS, together with ANTHRAX, DIMMU BORGIR, CHILDREN OF BODOM, CODE ORANGE, POWERWOLF, SOILWORK, CRADLE OF FILTH, THY ART IS MURDER, TESSERACT, METAL CHURCH, SOULFLY, DEATH ANGEL, DEE SNIDER, QUEENSRYCHE, ELUVEITIE, SWALLOW THE SUN, EVIL SCARECROW, ROSS THE BOSS, GRAND MAGUS, ROTTING CHRIST, INCITE and HYPOCRISY on the Catton Park stages next August. Stay tuned for even more bands to be announced soon! BLOODSTOCK’s very popular ticket payment plan is available now, where you can spread the cost of your standard weekend ticket over 5 affordable instalments! Your first payment of just £36 (initial instalment of £29, plus £7 booking fee) is due at sign up - which you can do at any time until 28th Feb - then four further instalments of £29 will debit your bank account on 3rd April, 1st May, 3rd June, and 2nd July respectively. Please note, VIP tickets are not available on the deposit scheme. BLOODSTOCK will take place at Catton Park, Derbyshire on 8th-11th August 2019. Get additional information over at BLOODSTOCK announce final headliner!